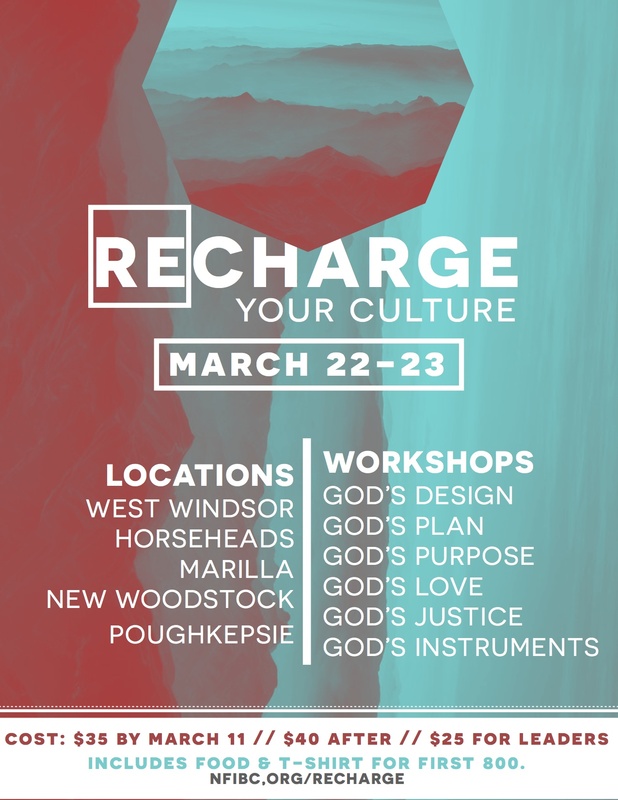 Join us March 22,23 2019 for our ReCharge Youth Seminars. This annual Northeast Fellowship ministry, held each year in March, focuses on Bible teaching, practical workshops and relevant praise and worship geared to teens. Over 800 young people normally attend these Friday/Saturday seminars, which are held in five locations across New York state. The goal is to inspire, encourage, and challenge teens toward Christian growth through worship, fellowship, and teaching.